Q: "How was the blind date you met last night?" A: "Nice". In my experience today's generally understood meaning of this answer is either "meh", or perhaps even "something less than great, but don't ask me to provide details". This year's Willy Nilly was better than "nice". 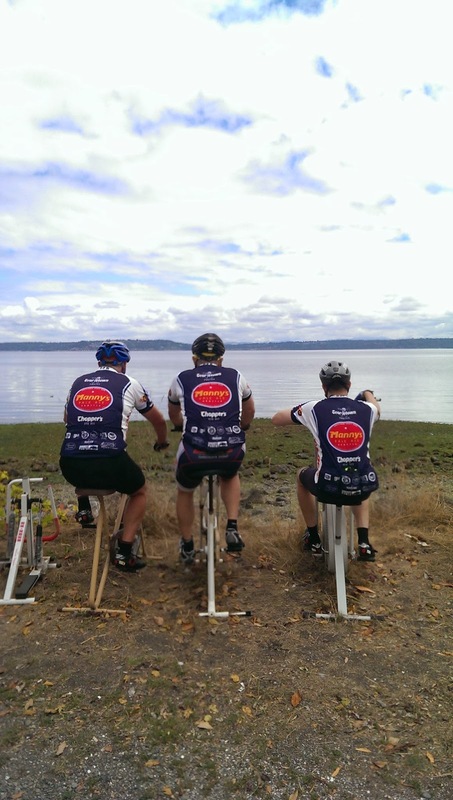 It was a bike ride on Vashon Island in the summertime, and by any measure a stunningly lovely ride. It just lacked...meteorological character. > The image shown here of participants taking a mid-ride spin on exercise contraptions might have been easier on the eyes had the riders been covering their lycra with the layers of chilly-weather covering that is typically required during a February Willy Nilly...just sayin'.